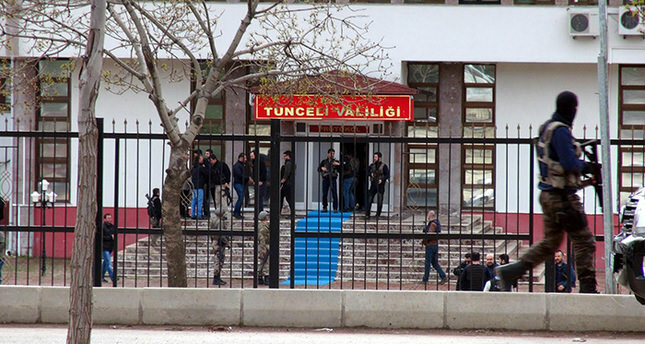 A militant of the Revolutionary People's Liberation Party-Front (DHKP-C) who opened fire on security personnel at the main offices of the Tunceli governor was killed Wednesday morning, an official statement said. The attacker has been identified as Onur Polat, 25, from Istanbul according to a statement on the website of the governor's office. Polat opened fire on a sentry box with an assault rifle at around 8.40 a.m. local time (0540GMT) before throwing a grenade that failed to detonate, the statement said. He was then shot dead by guards. An assault rifle, a handgun and grenades were recovered at the scene. There were no casualties other than the gunman, the governor's office added. Tunceli is in eastern Turkey and has been hit by recent PKK terrorism. The DHKP-C, although less influential in Turkey than other terrorist organizations, such as the PKK, still represents a considerable threat to the country, having conducted a string of attacks in past years. The group was behind a suicide bombing that targeted the United States Embassy in Ankara in 2013 and the killing of a prosecutor in the main courthouse in Istanbul in March 2015. The DHKP-C was founded in 1978. Purportedly supporting Marxist-Leninist ideology, it was most active during the late Cold War era. The group revived its attacks in recent years. It is listed as a terrorist organization by Turkey, the U.S. and the EU.